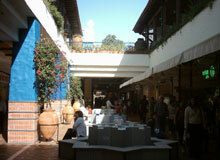 Bags, shoes and belts can be purchased everywhere from markets to trendy boutiques, usually at much lower prices than the U.K. 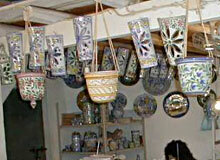 Souvenir shops in lots of resorts sell attractive ranges of pottery. Many shops along the coastal road will even pack your purchases carefully for you to carry them home. 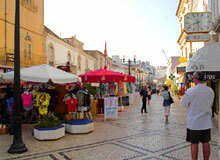 The Algarve has numerous spas, beauticians, and fashion boutiques which are often much less expensive than the U.K. There is no limit to what can be taken home for personal consumption and the prices of wines, spirits, liquers and cigarettes are cheaper than the U.K.